Cognitive technology is going to impact practically everything and it has glimpses of future that we have probably not even dreamt of. If you want to know more about what Cognition is all about and the context around it, click here to read my previous blog about it. You can read all about Internet of Things, Artificial Intelligence and other terms which we are going to use here frequently. 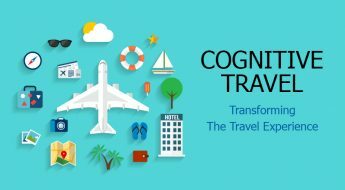 Getting back to the significant impact of Cognitive on various industries – none of them is going to remain untouched. 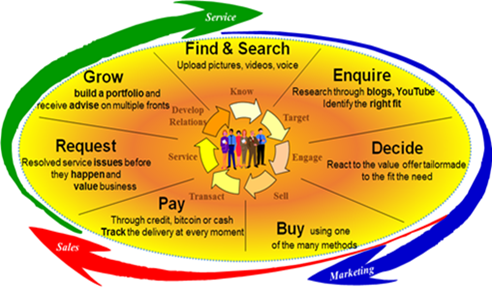 One of the prime industries that are going to simply metamorphose will be that of retail. Now, with all the bar-codes, QR codes, fancy packaging, billing, online and on-call customer care services, we have been quite content with the way retail works. But is this the limit? Has technology nothing else to offer? 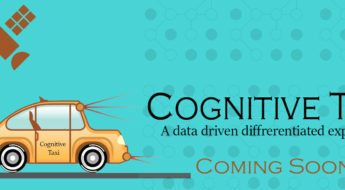 Thinking beyond the automated menus and self-help kiosks where you play with little machines to get information and more – cognitive is going to take it to another level and all your science fantasies will be soon coming alive. The future holds treasures of technology that we will soon explore and witness! Technology companies all across the world have already started investing in this segment which verifies that this is indeed promising and soon to become a reality. 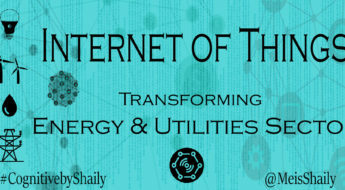 The significance and the crucial role that will be played by AI and IOT has been well understood and acknowledged by top notch experts all across the world. How do we really realize we need it? We see it somewhere – at a friend’s place or in an advertisement (print or electronics) and we are like, damn! I need it! What would you do next? Try to figure out where you can get more information about it and perhaps, where you can get the best deal for it. Let’s assume that you are at a friend’s place and you see a washing machine and you suddenly realize that you need one too. All you would need to do is click a picture and input it in the device – be it your cell phone, tablet or laptop. The device will get back to you with all kind of information you need and you will be able to know the credentials about the product along with all the technical specifications. Being advanced, modern and particular – we would like to research about it next. No need to bother anymore as your device is doing it for you already. It is finding youtube videos, showing reviews and telling you what people on social media are talking about this. The human touch will be imparted without humans being involved in a very subtle manner. Not only this, the device will also advise you where you can buy it for cheapest and nearest. If you need it immediately, it will be advisable to visit the nearby electronic or appliances store. Did you know that your computer has already checked if the particular washing machine was in stock or not and then alerted you? Or maybe if you don’t need it so early, you can buy it online. At the same time, read reviews and know how other people have rated it. Apart from what people talk on social media, there are always experts available who are giving genuine and credible reviews about it. You are going to get it all right in front of you – what any expert in any corner of the world is talking about the washing machine that you have your eyes upon. If you want to buy it right now, you have already been alerted for the nearby store and within seconds, the directions are there in front of you along with the traffic status. You don’t feel like driving till there? The bus numbers and metro routes are there for you and if it is just a walk away, the computer will advise you to that considering your current health conditions. While we reach the shop and the device helps us find what we want, it can also suggest a list of things that are available and can be bought along. This will be suggested according to your previous buying patterns and the feasible combinations. Now while you are buying washing machine, you obviously need washing powder too and wait maybe an iron along with it? And of course, all the offers and combos! The device will oodle information like buying a water purifier along with this washing machine of the same company is going to give you a great discount. While you are eying on a washing machine your device will help you know what similar products you can buy from the same store! While you have picked up the washing machine along with several other products maybe, how do you want to pay for it? What are the cashback or discount offers that you can avail with all the debit and credit cards in your wallet? Do you also get some extra discount if you use a particular one? Or maybe you have already spent too much from your cards and it is advisable to pay in cash. Now, the washing machine might need warranty, then what are the packages that you can go for to have a better warranty strategy for your product. Considering the history of how you deal with machines or products, your device can accordingly suggest the kind of warranty pack you must avail. While you have ordered it – offline or online – where has it reached? The app on the device will inform the delivery people about the time you are usually at home so that you can receive it yourself. If you have to leave urgently for a vacation or work, it can inform the same to the delivery people and you can always remain well informed about where the package has actually reached. The impact of cognitive is not just limited to buying, but it also amplifies when you start using the product. Do you know how to set this up and what all these buttons do? Do you have the instruction manual? Do you even have basic skills to do it or some YouTube videos might prepare you better? If there is an instruction manual, which language it is? Do you need help with translation? Infact the power of cognitive is that your device would have already read the manual and will provide you with step-by-step instructions on how to use the washing machine for best results. Once you have started using the washing machine, your device can also prompt you to write reviews about it so that other people can also know if you really liked it and cognitive techniques can help them decide better based on the interests. If you are writing positive reviews, you definitely deserve to earn some bonus points right? Maybe you shopped from this particular site for the first time and you must be rewarded. It can also prompt you to allow the device to suggest it to people in your circle based on interest and use. And if they end up buying it too, you must flourished with more rewards! How many days it had been that you have been using that Washing Machine? The washing machine will inform the company about the usage and before it gets too late, you will have someone at your doorstep to do the basic repairing so that it can function smoothly. If some part of the machine is not working properly, it can be replaced before it gets faulty and stops working. If you don’t like it and in the following days, you are not using it much – your device can actually suggest you to resell it and find people who have been interested in buying similar second hand products. According to your usage, preferences and interest – the device can also suggest what can be bought further to improve the experience further. Internet of Things (IoT) becoming in-charge of your health! Now while you have your washing machine, it is observing the frequency with which you use it. Accordingly, it can predict the water consumption and family members and their age groups. Also, your air purifier is observing the level of CO2 and O2 and other pollutants; along with that, your water purifier knows how much water your family consumes. With the help of data from IoT, all these machines can interact and prepare a health scorecard for your family. If there is any irregularity in the patterns, the device can alert you so that you can check on it. For example, if the drinking water consumption becomes less, maybe you will be advised to get back to your normal drinking water consumption as it can have a bad effect on your life. Similarly, if you smoke and the level of pollutants has been increasing, it can again alert you to reduce the smoking and live a healthier life. 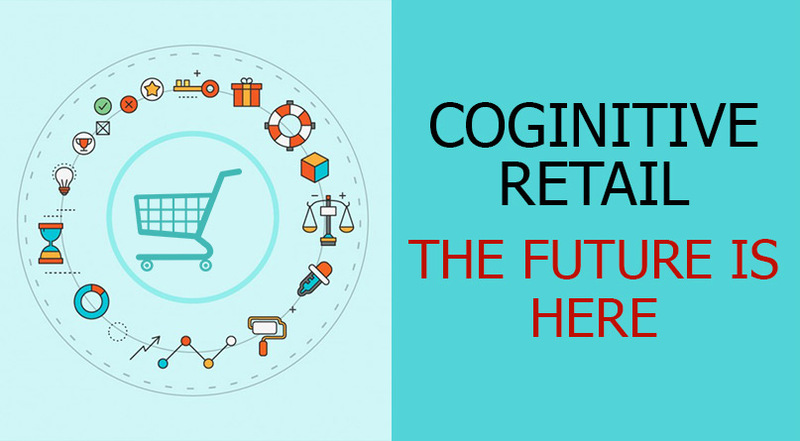 To be summed up, whatever you would think, the future of retail is looking very bright and it is definitely going to open new avenues and provide its customers a treat with multiple new possibilities and get a very convenient and better shopping experience.